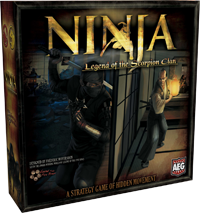 AEG, from Legend of the Five Rings, has announced the upcoming release of my next game. Once again a game with hidden movements, but in a different setting and with a new game experience. More info on their website and on Board Game Geek.